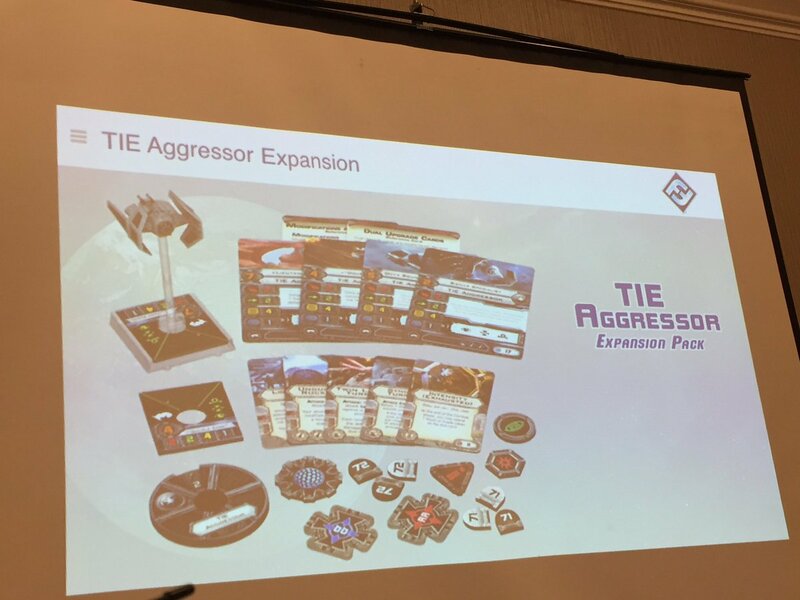 That TIE Aggressor is so pretty. Hopefully, FFG will put up better pics soon. I can't make out any of the upgrades. Based on the tokens, it doesn't look like we'll see anything new. The TIE Aggressor is pretty, but currently mysterious. At two attack, two defense, four hull and one shield, it looks like a more than average durability TIE. 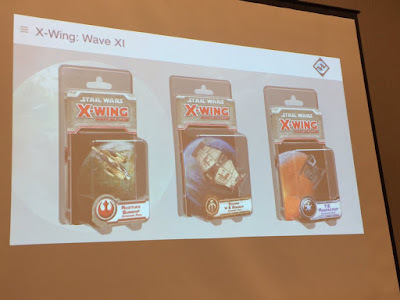 The basic pilot is PS2 for 17 points, so it's also fairly cheap. I'm seeing focus, target lock and barrel roll actions, which again seems expected. The upgrades are hard to see, but I can tell that it has two of the same icons and at least one card that uses both of those icons. That's new, but again, not surprising or complicated. The Rebel ship is a little goofy looking. It seems to have a new action called Reinforce. No idea what that does. Shield regeneration? 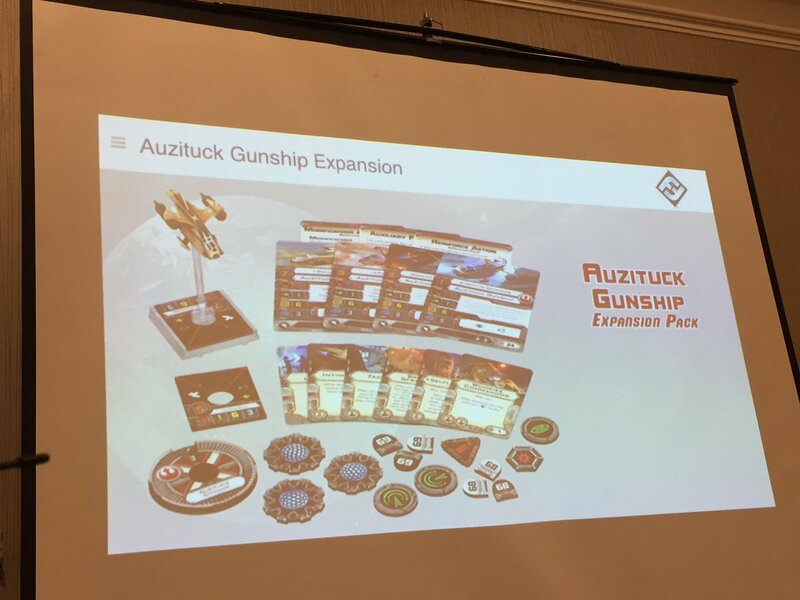 Hopefully, we'll see something soon from FFG.